LOUISVILLE, KY (WAVE) – The horse who sired Triple Crown winner American Pharoah died suddenly Monday. 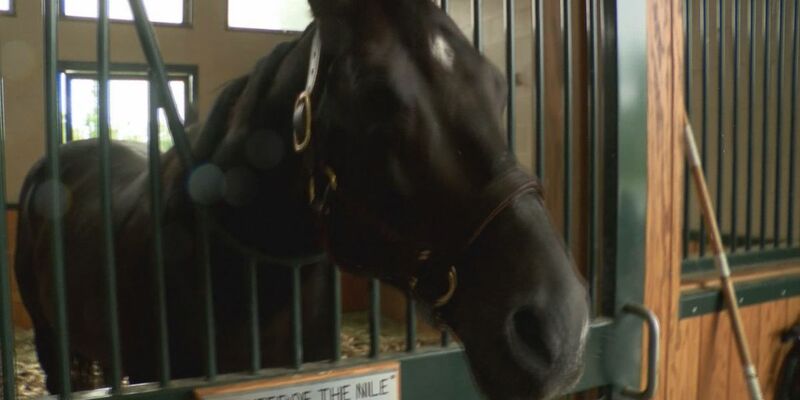 Pioneerof the Nile, 13, bred a mare Monday morning then began acting uncomfortable once he returned to his stall, according to WinStar Farm. The stallion was on the way to a clinic when he died. Pioneerof the Nile also sired Classic Empire and two 2-year-old Eclipse Award winners. Pioneerof the Nile came in second in the 2009 Kentucky Derby behind Mine that Bird.